Discipline Hand Spinner Wet/Nuno Felting Needle Felting I do it all! Do you get want to be fiber inspired? 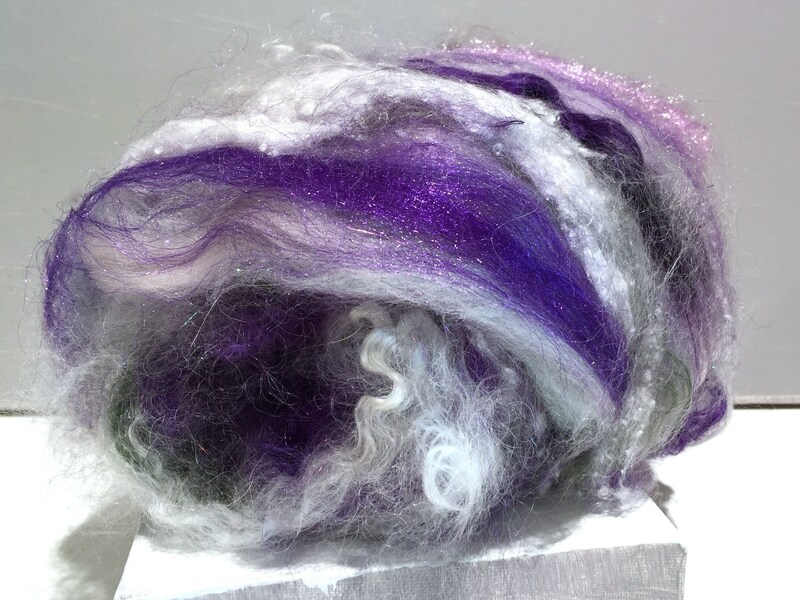 Do you enjoy the luxury of working with hand carded art batts as unique as you are? If so, this is the club for you! Here at Wildethyme Art we like to think of ourselves as creative enablers, the biggest joy we take from our work is in the knowing what we make becomes part of what you make. We are inspired in our work by many things our lovely customers, nature, history and our furry friends. This Batt of the month club is inspired by our love of gardening. Laura and Steph, the owners of Wildethyme Art, are both fantastic gardeners who love to tend to veggies and flowers and that is where the inspiration for this unique line is born. 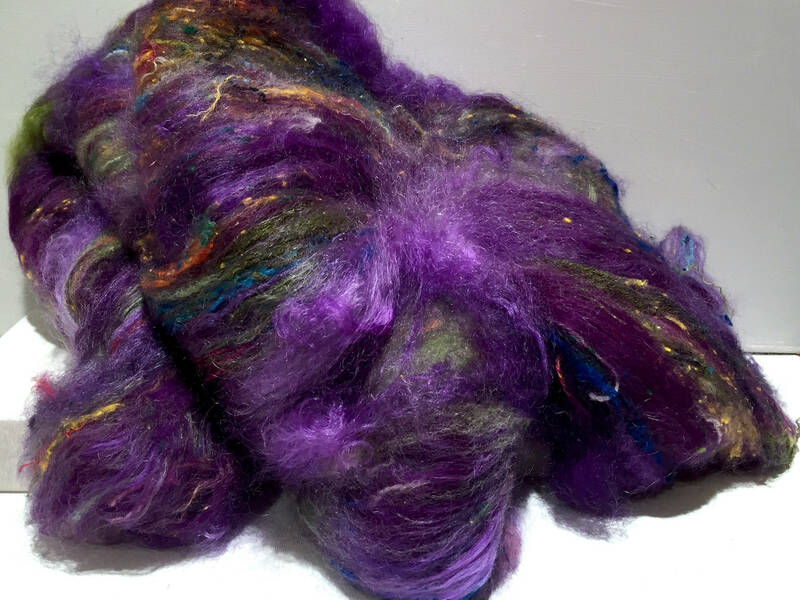 Every month (for 2-12 months) you will receive a batt of unique fiber most often inspired inspired by a specific plant, our love of gardening, whatever is in bloom at the moment :). 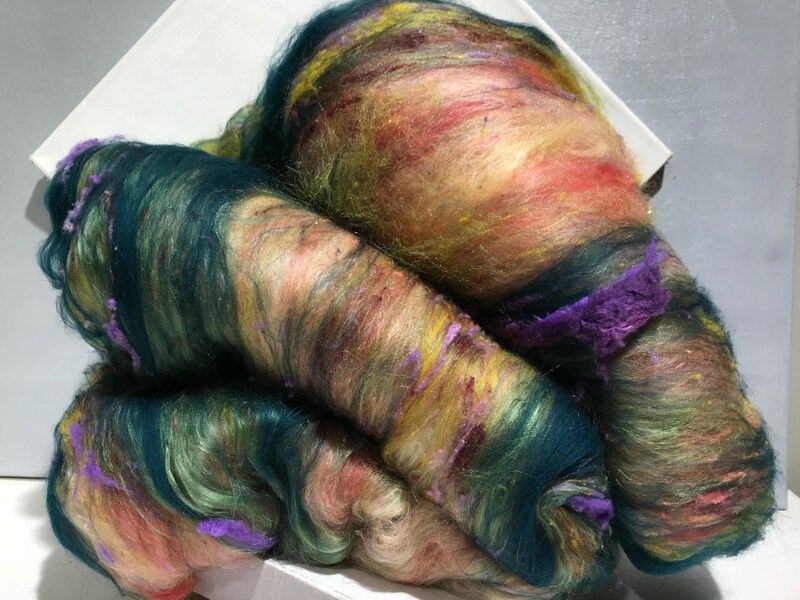 The fiber is dyed, hand carded and blended especially for club members with exclusive colorways from our favorite plants! These are color ways that will not be available to general public until at least 6 months after the club has ended--if ever. Herbs: Batts will be heavy on greens, with small bits of surprising color. Texture will range on the more delicate side. Flowers: Sophisticated color, the *most texture* of all the options, with greens and violets as complements. Vegetables: Smoother batts with subtle texture, the MOST color of all the options, with greens and violets as complements. Succulents: Smoother batts with subtle color variations. Silver greens, silver, violet and lavender color complements. Spinner: Spin lovely yarn, whatever your spinning style! 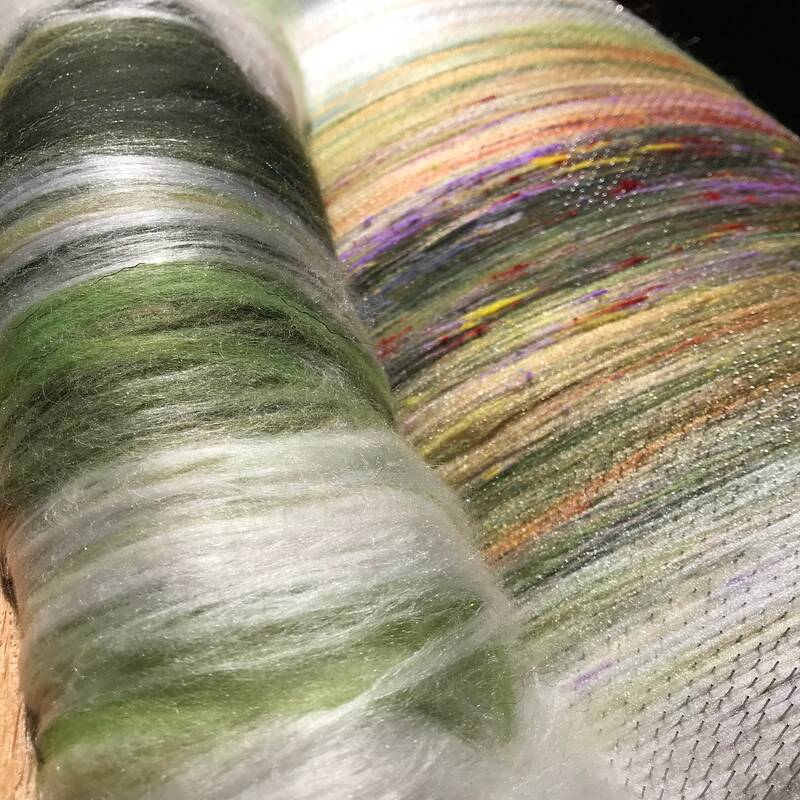 Each batt is designed to be spun in a variety of ways from core spun to thick and thin so this will truly fit your style. 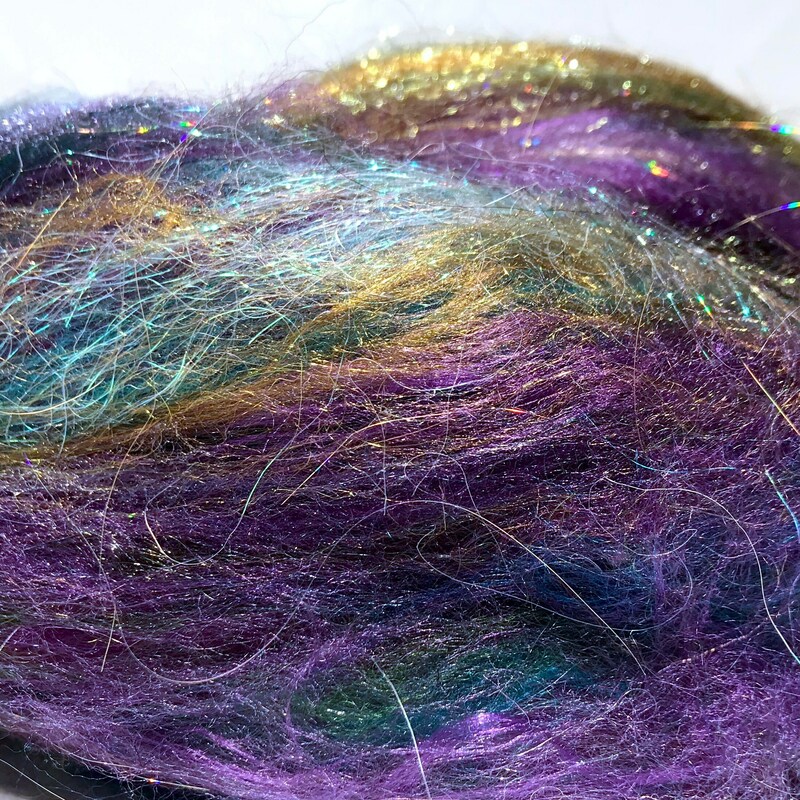 Experience the luxury of spinning with soft fiber batts in unique colors that will make you rejoice with the depth and texture of each batt! 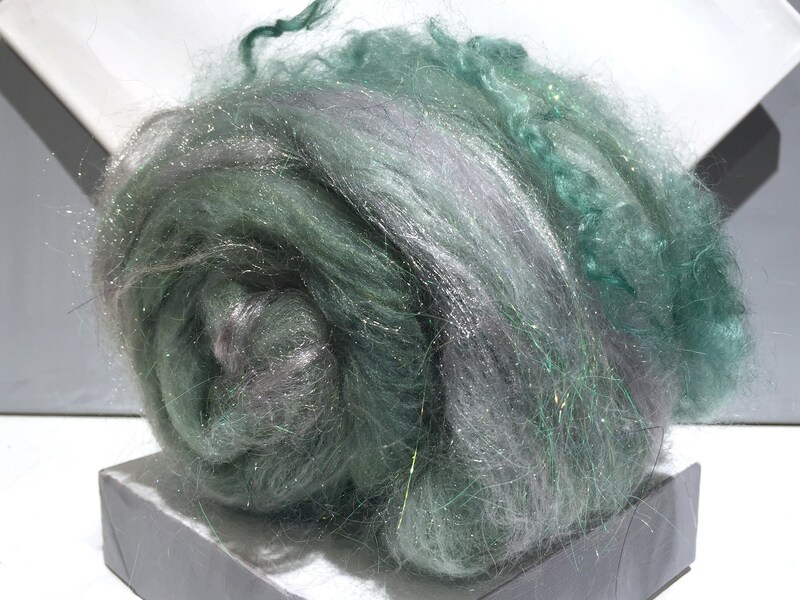 Felters: We use wool as the base for most of our fiber batts, but we also use other gorgeous fibers that will add shine and texture to your felting and fiber art projects. 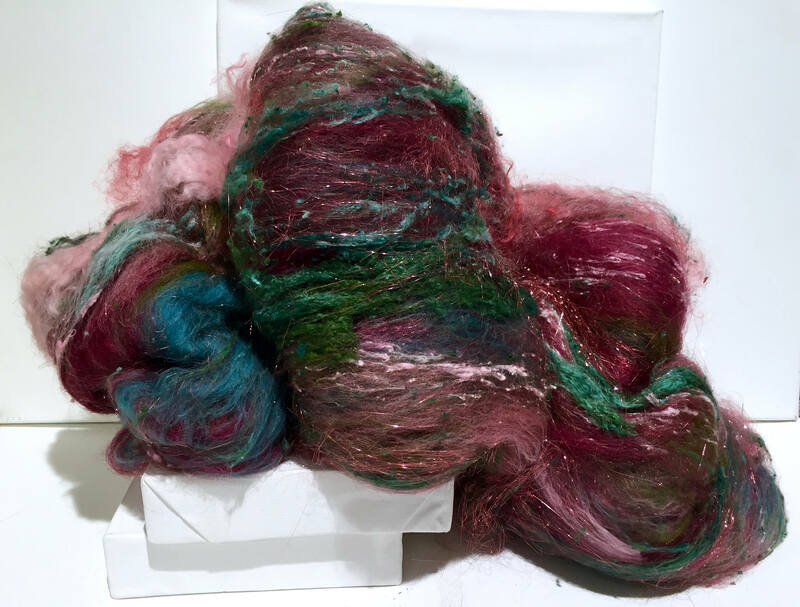 Think sari silk, firestar and locks and choose the fiber art option in the drop down menu when checking out so we can be sure to include enough wool in your batts to make it all come together. This really is the gift that keeps on giving! 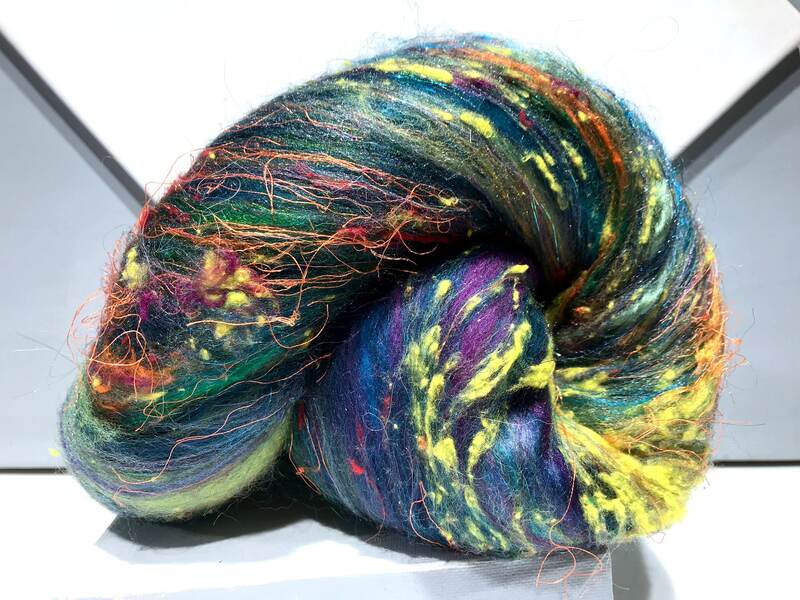 This club is wonderful for those who want to shake out of old color habits, for those who wish to try new art batts, and for adventurous yarn spinners! This also makes a great gift for the spinner, felter and/or gardener in your life. Advantages to being a club member are: exclusive color ways and fiber bases, free shipping and fun in your mailbox each and every month! We will make sure that the normal price of the 3 batts combined are more than what you pay for a club membership so aside from being tons of fun it is also a great value! Fiber will be shipped *around the 20th* of each month. * We sometimes ship/store our wool products with lavender. Please let us know if allergies are an issue. *We use a mix of commercial and farm raised fiber. Realistically-no matter how much we pick and clean- these *may* contain bits of vegetable matter. Most, if not all, of which will fall out as you work the fiber. Glitz and glam! This is the first order from my subscription. Im thinking a basket and then on display for a while. Oh lordy. 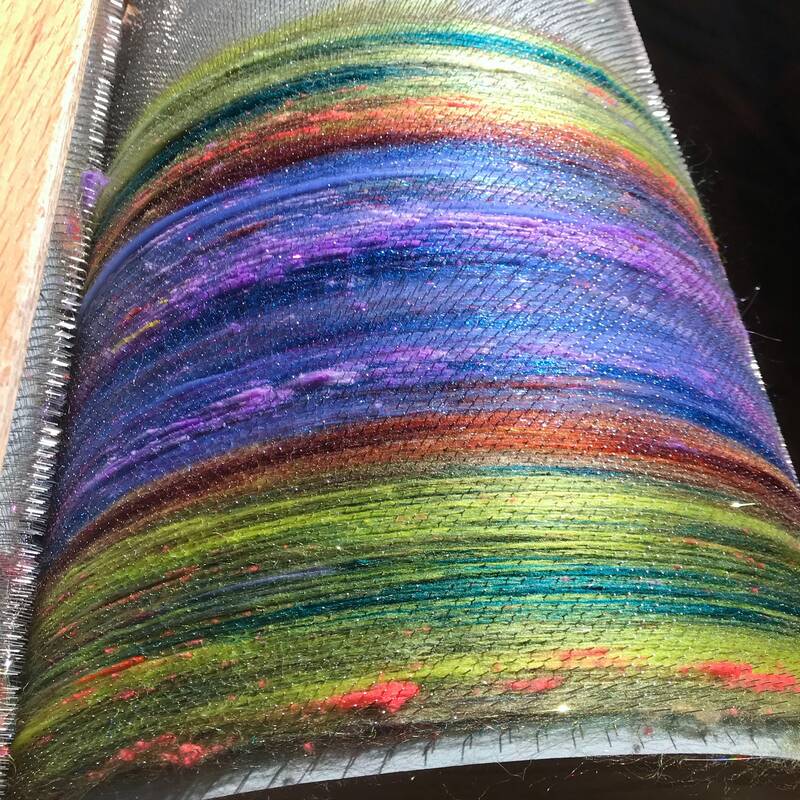 If this first batt is any indication, I'm going to be in spinning heaven for about a quarter of the year. Stunning, as usual. I seriously can't get enough of these. I love my first batt-of-the-month! It is a feast for the eyes and fingers! 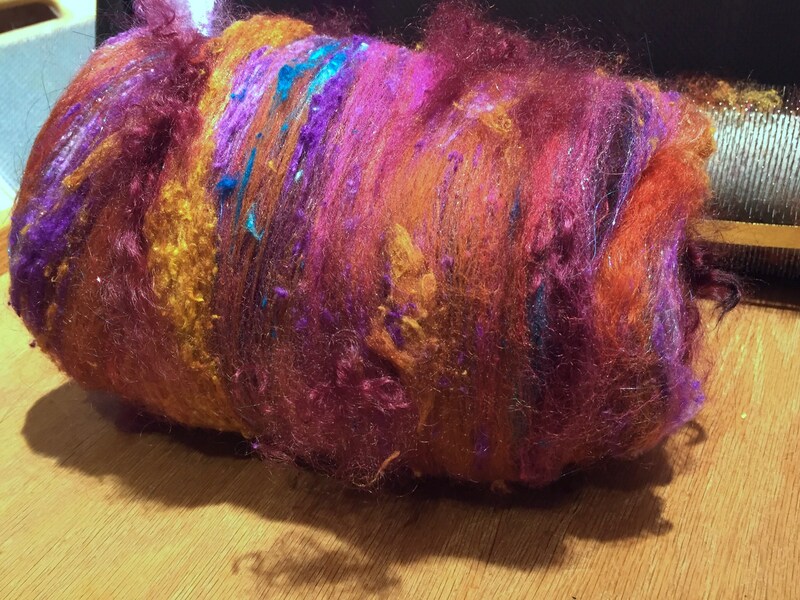 It was so much fun to spin and see how all of the colors and textures come out.